Saturday, I went to the local Steak 'n Shake. Rather than go to the drive-up, which is customary for me, I decided to go inside. There was a line of people, I guess about 5 people in front of me. I was thinking coming inside was not such a good idea after all. As I was waiting, I noticed this stranger glancing at me on at least two different occasions. I didn't think nothing of it at the time. I was just trying to figure out what came over me to want to come inside when I could have already gone through the drive-up. But, when this guy looked at me a third time, I realized this was not a "stranger" at all. He finally came up to me and asked if I was David Weldy. I told him yes...yes I am. Before he even identified himself, I knew right away to whom I was speaking. I'll just refer to him as "Dan" since I do know some locals do read my blog. "Dan" and I used to go to the same church back in the early 90s. In fact, we both ushered together every other Sunday when our names came up. I always thought he was a nice, friendly guy. I remember he had a wife and two small girls. From all reports, he was and, probably still is, a good guy. Dan got caught up in one of life's episodes where you spend the rest of your life wishing you had it to do over again. Many times in my life things have happened to me that I wish I could do over again. I suppose many or most people can say that. But, in Dan's case, it went to a much higher level. You see, Dan's lapse of good judgment cost the life of a 8 year old girl back in 1993. Dan was in a hurry one morning, in 1993, to get to work. He had been late to the office twice that week and knew he would be in trouble if he was late a third time in one week. 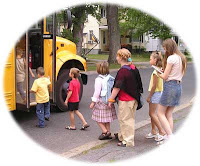 It was a school morning, which meant school buses were picking up children at bus stops. This was happening all over the country that morning, just as it is any early March morning. 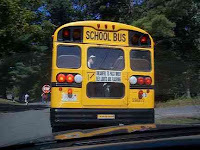 As is law in the state of Alabama, all traffic must come to an immediate halt when a school bus pops out the STOP flag. That means traffic in both directions, two lanes, four lanes or whatever, MUST stop. As I said, Dan was in a hurry and was impatient. The school bus was taking too long. Dan saw that children from both sides of the bus had gotten on and were seated. Yet, the school bus still had the STOP flag out and was not moving. Dan, in an instant in time, without thinking things through, abruptly changed his life forever. Not willing to wait another second, Dan pulled around to the left of the car in front of him and was speeding down the other lane of the two lane road. What Dan did not know, was that the bus driver was waiting on young "Melissa" to catch up with the bus that morning. Dan could not see her as she was running to cross that lane he was speeding down. He saw her too late when she emerged past the tree that blocked his view. He hit her going 35MPH. Melissa was killed instantly. Dan was charged with involuntary manslaughter. He was found guilty and served 3 years of a 5 year sentence in prison. His wife divorced him while he was in prison and moved to Texas with their two small daughters. He, of course, lost a high paying banking investment job which was well paying (now...not so much) at the time. Now, Dan told me he does landscaping when he can get the work. It was the first time I have seen him in 15 years. He is a broken man, as you can imagine. As I said, Dan is or was a good man. He had a momentary lapse of judgment that cost the life of a child, a child that never had a chance to have boyfriends, go to the prom or go to college. It caused the father of that child to commit suicide in 1995. So many people were affected by that brief instant when an otherwise normal person did something stupid. Dan said goodbye to me and I wished him well. I could see that although Dan still is living.....he has lost his life as well. i really dont understand why couples in the west divorce each other when the going gets tough. here in our place, when something happens to a family, they band and support each other. I think it's unfair of you to characterize everyone in the west because of the actions of one married couple. That is stereotyping of the west. People are different. I would imagine there are examples where you come from where a couple divorced for the very same reason as this woman. I do not condone what she did while her husband was in prison, just as I don't condone the actions of the husband's carelessness.